S&S 79" Sidewinder big bore kit for Evolution XL models 883, 1100, and 1200 models. 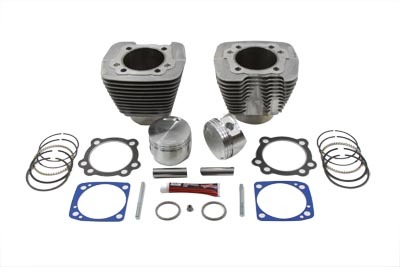 Cylinders with forged pistons include rings, pins, and gaskets. The bore is 3-5/8". It has a displacement of 79" with a 3-13/16" stoke and a cylinder length of 4.650". 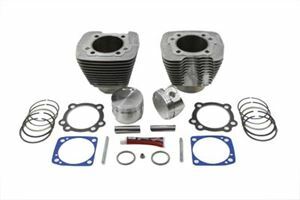 **NOTE:Crankcase and heads require chamber modification which will determine compression ratio.